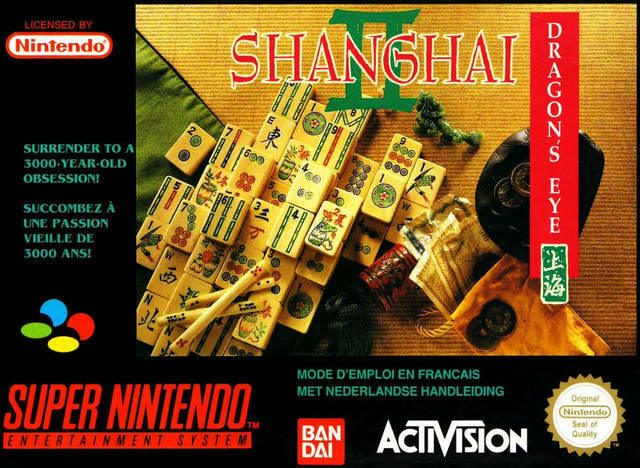 Shanghai 2: Dragon's Eye for Super Nintendo is the game of Mah Jongg making its way to the SNES. There are 11 tile sets to choose from each intricately designed and four different ways to play. You can play against a friend or the computer as you rise from a beginner to a seasoned player, where you can settle in for the ultimate challenge: Dragon’s Eye.